“Ajeeb daastan hai yeh, kahan shuru kahan khatam…..” is not only one of her favorite songs which she croons melodiously, but also seems to be an inspiration to the runner in her! Cause when she runs, you won’t know where she started and where she ends..such is the strength of her stride, consistency of form and steely resolve. A multifaceted personality, her interests and talents vary from the fine arts to fitness. One of the early members of team Dream Runners, she has always been into sports and fitness even during her school and college days. She is now a veteran of many half and full marathon events. 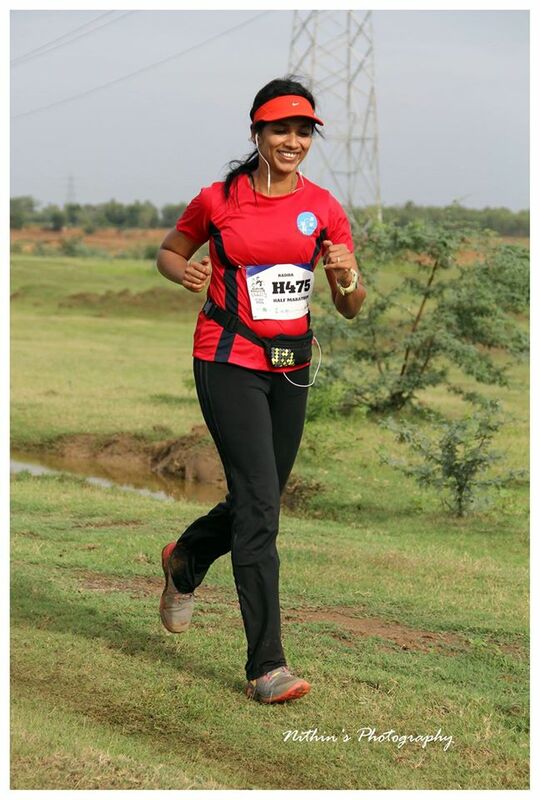 She was a podium finisher at CTM 2015 half marathon (not an easy race given terrain and conditions….) with a time of 2.21 and also achieved her personal best for a full marathon at SCMM 2016 with a time 5:07 . A technology professional running an enterprise of her own, aside of managing family and household commitments, it is much more than running and fitness skills that she brings to team Dream Runners. A meticulous planner, organizer and executer, she was part of the race management team for DRHM 2016.